Achieve a flawless, smooth complexion with the Japonesque Stippling Brush; an essential and versatile beauty tool for expertly blending liquid, cream or powder-based makeup products for an airbrushed finish. 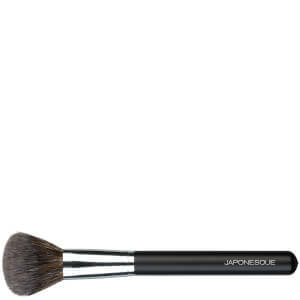 The unique design boasts a blend of dual length bristles purposely crafted to lightly distribute primers and foundations in large, sweeping strokes. The synthetic fibres are easy to maintain and offer a perfect balance of smooth, exquisite and even application.